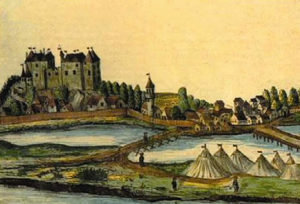 Fortifications are buildings with defensive functionality, often placed in an isolated position, regularly inhabited by a feudatory, a nobleman in most cases, accompanied by his family and military crew.1 Life in such a town mostly depended on whether it was a military object, a ruler’s or a bishop’s residence, or a center of a district, and whether it had a suburb.2 Suburbs, which develop through time beneath the fortifications’ walls, were inhabited by residents who were subordinated to the feudatory. At the beginning, these people were his vassals, farmers that cultivated his lands, but through time merchant and artisan classes strengthen. Those colonies reach high level of development when they uprise to the status of market centers. Then they gain some privileges that influence their economic significance, as opposed to those without such privileges. It is rather difficult to determine a certain style in fortification architecture, but some stylistic features can be seen in the way the walls are processed, the application of measures, ground plan, brick format, decorative elements, carved architectural details etc.4 Therefore, we can notice some features of Romanesque, Gothic and early Renaissance, as well as all of the combined styles. Later, in the 12th century, fortifications are built on steep and inapproachable places. Their ground plans were long and very narrow, and the silhouette was dominated by a sentry tower. They were good enough to serve their purpose as a refuge for local persons of power in their mutual conflicts, but when a stronger force arose on the historical scene, they’ve proven to be inadequate in defense from a more serious threat. This exact scenario happenned during the Tartarian invasion of the territory of medieval Slavonia, when all the imperfections of such constructions emerged. From then, much stronger fortifications were built, with walls twice or triple in thickness, and with a developed defense system. Although in more approachable positions, their defensive power was much greater than their precursors. 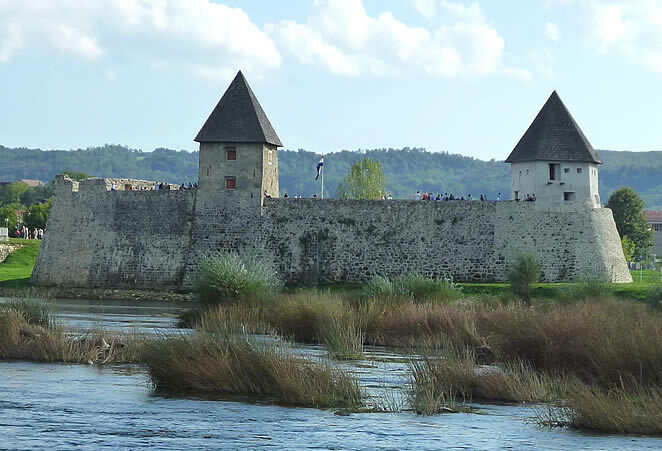 In the first half of the 13th century, stone fortifications became more and more popular. 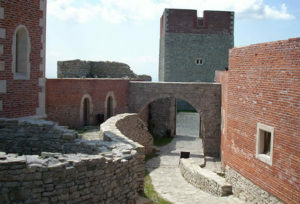 Their walls were relatively thinner, and judging by their characteristics and small dimensions, it is likely to assume that they didn’t have any serious defensive power, but were built as a support for local neighborly conflicts.6 That is the exact reason why they couldn’t provide resistance to Tartarian breakthrough in 1242. These fortifications characteristically have a regular, almost rectangular ground plan, walls have simple volumes, ending with a battlement. On one side of the assembly there is a sentry tower, and a palace is on the other. Due to the invention of a new type of firearm, and along with it a new type of warfare, the concept of defense is also bound to change. Sentry towers lose their purpose, so they are either not constructed any more, or their position in the fortification is changed, and their presence becomes a status symbol of the owner. On the transition of the 14th and 15th century many artisans come to these lands from Bohemia, among which are particularly notable members of the Parler workshop from Prague. They bring new architectural concepts, like new types of ground plan, the use of larger residential quarters, new types of details on the buildings, and more quality construction. In the 15th century some of these elements become accustomed, and „leavening of facade“ from bottom to top,10 details carved in often clear-cut stone, and covering of residential quarters with wooden, regularly painted beams, become characteristical in architecture. Any how, life in fortifications becomes much more comfortable than in earlier centuries.11 Residential rooms are bigger and more comfortable, as are accompanying rooms, which brought up the level of comfort and hygiene in the fortifications. Stone, bricks, and the combination of the two were the most popular construction materials; wood was slightly less used than stone. Eastern Slavonia is characteristic for the use of bricks, while in north-western Croatia buildings were mostly made out of stone. As the Turkish peril rises, the defensive character of fortifications was more emphasized, but they will once again prove powerless before a greater military force. In the developed Middle Ages we can distinguish two basic types of fortifications, by the characteristics of terrain upon which they were built. These two types are upland and lowland fortifications, which, though similar in some elements, still show some different forms. The most distinct difference is conditioned by the type of defense which affected its architecture. Upland fortifications are built on higher grounds, and are surrounded by firm walls. They are often additionally secured by one or two concentric circles of defensive trenches. Their ground plans, though in Romanic period often regular, later, due to adjusting to the terrain, become of irregular shape. 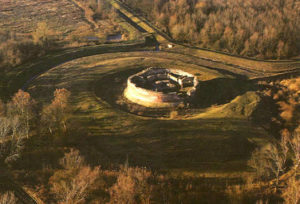 Fortifications consisted of several buildings placed within the defensive walls, and they will be described in the next chapter. *We thank to the „Građevinar“ magazine for their permission to use their photographs. We know almost nothing about fortifications built in early Middle Ages, because a very small number of them is preserved today. The main reason for this are the short-lasting materials they were built from, such as wood or dirt. We can distinguish two basic types of fortifications, by the characteristics of terrain upon which they were built. These two types are upland and lowland fortifications. After the Tartarian breakthrough in Croatian territory at 1242, a great progress in the quality of fortifications construction is evident. The number of fortresses is bigger and a quality is much better. Gjuro SZABO, Sredovječni gradovi u Hrvatskoj i Slavoniji, Golden marketing – Tehnička knjiga, Zagreb, 2006. 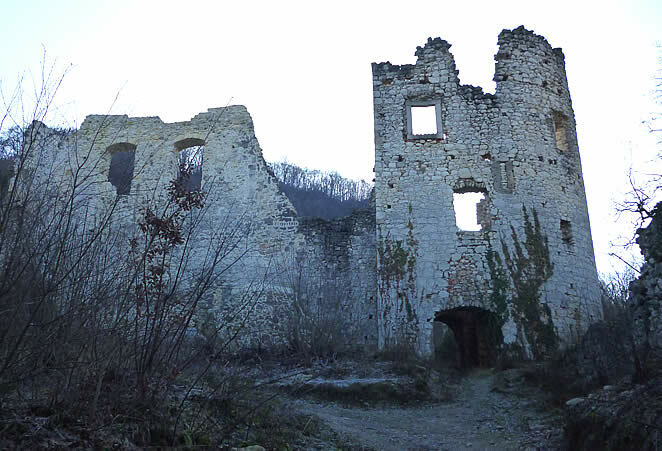 1 In eastern Slavonia one of the more outstanding examples of royal cities is Ilok, which was the residence of Nikola Iločki, who was, among other, a Bosnian king. 12 Though inner buildings are set up along the inner border of the walls in both types of fortifications, the ground plan itself makes differences in the layout.